(TALLADEGA, Ala. - May 3, 2012) - When the dust settled in a thrilling finish at Daytona International Speedway in February, Will Kimmel emerged with a spectacular third-place result in the Lucas Oil Slick Mist 200. With the series returning to another superspeedway, the Clarksville, Ind.-based team and its new top driver are eyeing a repeat performance in Friday's International Motorsports Hall of Fame 250 at Talladega Superspeedway. Aiding the team in their efforts this week at Talladega will be new sponsor Tilted Kilt, who will serve as the primary sponsor of the team's No. 68 Ford Fusion for the fourth race of the year. The Celtic-themed sports bar and restaurant chain's previous foray into motorsports came in 2009, when it sponsored Todd Bodine in the NASCAR Camping World Truck Series. "I can't begin to tell you what it means to us to have Tilted Kilt step up to the plate and help us out for Talladega," said Will Kimmel. "I'm hoping that we can welcome them to our racing family and into the ARCA Racing Series with a strong run on Friday afternoon." A good run would be favorable for the Kimmel Racing organization, especially following the April test session at the 2.66-mile superspeedway in which the No. 68 car topped 26 entries. "To be honest, after Daytona we weren't sure if we were going to be able to make it to Talladega, but with the help of Tilted Kilt and all of our other marketing partners we're focused on trying to become the fourth different winner in 2012 but most importantly, a first-time winner," Kimmel said. "That would be incredibly huge for this 'small' team." 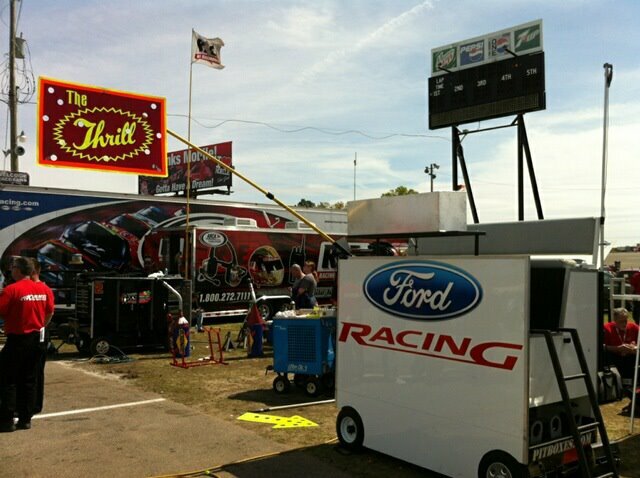 For more information on sponsor Tilted Kilt and Kimmel Racing's preparation for Talladega, click here to visit the team's full press release in the Team News section of ARCARacing.com at ARCA Nation. Drivers from southern Indiana and Kentucky received some of the loudest cheers Sunday afternoon at Salem Speedway - and that was not a sentiment reserved merely for current competitors. Salem, Indiana (May 1, 2012) - - Will Kimmel and his Kimmel Racing team had high hopes for the Kentuckiana Ford Dealers 200 at Salem (Ind.) Speedway. Unfortunately, a series of obstacles spiraled their weekend into one that frankly they would like to forget about. 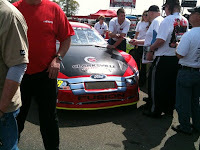 Proudly carrying the colors of the Kentuckiana Ford Dealers on-board his No. 68 Ford Fusion, the former track champion lived up to his experience at the track during the first practice session on Saturday afternoon. In fact, despite just turning five laps which mounted the No. 68 Kentuckiana Ford Dealers Ford Fusion at the top of the board, the engine seized with a trail of smoke billowing from behind. The family-owned team quickly sprang into action and replaced the motor with a back-up. The change would keep the team on the sidelines for the final practice session, but the gallant effort would allow Kimmel to participate inMenards pole qualifying presented by Ansell. Mounting the 14th quickest lap in time trials, Kimmel was easily disappointed but after debriefing with father, crew chief and owner Bill Kimmel, the team would turn their focus to race day. After storms rolled through the track on Saturday night, the next morning brought cooler temperatures and overcast skies allowing the 200-lap contest to start on-time. From the drop of the green, Kimmel easily began maneuvering his No. 68 Kentuckiana Ford Dealers Ford Fusion towards the front. Despite battling a loose-racecar Kimmel still began charging forward through the event's first 50 circuits tucked just outside the top-10. By lap 62, Kimmel had moved his way into the top-10 and continued to reel in the competition ahead of him. 15 laps later though on lap 77, Kimmel was racing the No. 09 for position on the lead lap when contact was made from the No. 09 sending Kimmel's Ford hard into the outside wall; virtually destroying the back-end of the No. 68 Kentuckiana Ford Dealers Ford Fusion. After climbing from his automobile and conversing with the driver of the No. 09; Kimmel made the trip back to the infield with the tow-truck hanging through the driver's window in obvious disbelief. In the final rundown, Kimmel would settle for a 26th place finish. "This is by far not what we wanted," said Kimmel. "He (No. 09) said his throttle hung going into turn one. I'm not sure. I thought it really was too early to be racing (hard) like that. We still had a long way to go. After the engine problem's yesterday, the car really hooked up to the track and we running laps comparable to the No. 22. We were really just biding our time, taking one position at a time and gearing up for a change on the pit stop." He added, "I really want to thank the Kentuckiana Ford Dealers for jumping on-board with us at Salem, it means a lot to every single person on this team. I'm devastated that we weren't able to contend for victory, but we will be back. I also want to personally thank the guys on this team for their confidence and support this weekend. We'll take this string of bad luck on the short-tracks and go back restrictor plate racing and see if we can't find ourselves back in the spotlight." Next up for the ARCA Racing Series presented by Menards is a trip to Talladega (Ala.) Superspeedway for the running of the International Motorsports Hall of Fame 250 on Friday, May 4. The 94-lap / 250-mile event will be televised live on SPEED beginning at 4:00 p.m. (CST). (SALEM, Ind. - April 28, 2012) - Will Kimmel led the opening session of ARCA Racing Series presented by Menards practice at Salem Speedway, but that achievement came with a price. Kimmel drove five laps in the first of two 45-minute sessions, completing his best lap on his home track in 17.238 seconds, a speed of 115.907 mph. Shortly after that, though, Kimmel drove his No. 68 Ford to the garage and the Kimmel Racing crew went to work on what they explained as driveline issues. "I'm not really sure what happened," Kimmel said. "I had some issues and went up in smoke going into Turn 1 after we did a mock qualifying run. That's the first time we've ever done that. I don't know what to say right now. It's a good thing we're at Salem. Our Clarksville Schwinn/Kentuckiana Ford Dealers Fusion was running really good. "The track's a little slick right now, but that's Salem when it's hot." Kimmel said he was not certain whether the team would be able to qualify this afternoon, but he remained confident about tomorrow's race. "We'll put another Roush Yates Ford in it and let her eat." Alex Bowman finished the practice second by 0.007 second. He was followed by Chris Buescher, last September's winner at Salem and the only person to finish ahead of Will Kimmel in that event. Will Kimmel is a busy man, and that will certainly be on display at this weekend's Kentuckiana Ford Dealers 200 at Salem Speedway. Kimmel will work on and drive his own No. 68 Kimmel Racing Ford, and there's little doubt he'll also have to tend to visiting family members and friends, many of whom hail from a half-hour's drive away. The busy son of crew chief and car owner Bill Kimmel was also running at full tilt at last week's open ARCA Racing Series presented by Menards test at Talladega Superspeedway, but motorsports radio host Larry Henry caught the Indiana driver at just the right time. While waiting in his car to make a mock qualifying run at the test, Kimmel connected with Henry for an interview that aired on the April 18 episode of Henry's Pit Pass USA, an hour-long motorsports conversation show on the VoiceAmerica Sports Channel. Kimmel talked about his third-place finish at Daytona and gave a short review of the March 10 race at Mobile - "I just had some learning to do" - but also gave some focus to upcoming events at Salem Sunday and Talladega next Friday. "Both tracks, everywhere you go, you're right on top of somebody," Kimmel said. "At Salem, you're always dealing with lapped traffic and you're racing the track, and at Talladega you're in one big pack. That's really about the only similarity. At Salem, you've just got to stay up on it all day. Being a daytime race, that track gets crazy and it's so sensitive to weather. I really look forward to Salem and I think we'll run well there." Kimmel talked much more about racing at Salem throughout the interview, which begins after the 43-minute mark in this link. To hear more from Will Kimmel's conversation with Larry Henry, click here. With the third race on ARCA Racing Series presented by Menards schedule approaching, it seems only appropriate that with the event being hosted at Salem Speedway, nearby Kimmel Racing plans to take full advantage of the opportunity to host a grand re-opening of the team's ARCA shop. The team will also host a fan appreciation celebration in a night destined to be full of food, music, friends, and racers. The scenery completely changed when the curtain opened on the 2012 season. With Frank Kimmel's departure to another operation, Kimmel Racing was left without a driver and with only a skeleton budget, but aspirations of a championship. Bill Kimmel, owner of Kimmel Racing, isn't a man to go down without a fight, and with the support and talent of his son and new driver Will Kimmel, the two have quickly delivered a message to the competitors - that despite their limited resources, they can still compete. The Clarksville, Ind.-based team was dubbed as one of the Cinderella stories from the season-opening event at Daytona International Speedway, where Kimmel cleverly drafted his No. 68 Ford Fusion to a stout third-place finish. A few weeks later, another top-10 appeared to be easily in the clutches of the family-owned operation, but a mechanical failure within the final 10 laps of the event left the operation with a sour finish - but still plenty to be proud about. With the Kentuckiana Ford Dealers 200 set for Sunday, April 29 at a place where the younger Kimmel has mounted thousands of laps, netted a track championship, and earned his career-best ARCA finish of second last September, the team is eager to welcome the ARCA "family" into their territory with a little pleasure and relaxation on Friday, April 27 before getting down to business. From 6-10 p.m., Kimmel Racing will host music from country music songwriter and artist Hali Hicks. Further entertainment will also be provided from Blue Collar 40. The team will also host an autograph session with race fans, set to include the Kimmel clan, ARCA Racing Series drivers Sean Corr, Korbin Forrister, and Chad Hackenbracht, NASCAR icon Charlie Glotzbach, and others. Food will be provided by Ann's by the River. "We're all about family and ARCA to us is our extended family, so we wanted to do something nice but also show everyone that we are alive and kicking," said Bill Kimmel. "We're hard at working on sponsorship for other races and we'll have a new addition to our family to announce soon, so things are looking up, but we just wanted to provide a night where the shop is open to anyone that wants to stop by and have a great time with us." Not only will the Kentuckiana Ford Dealers continue as the title sponsor of the first of two ARCA races held at Salem Speedway, but the local group has also latched onto Kimmel Racing and will sponsor the No. 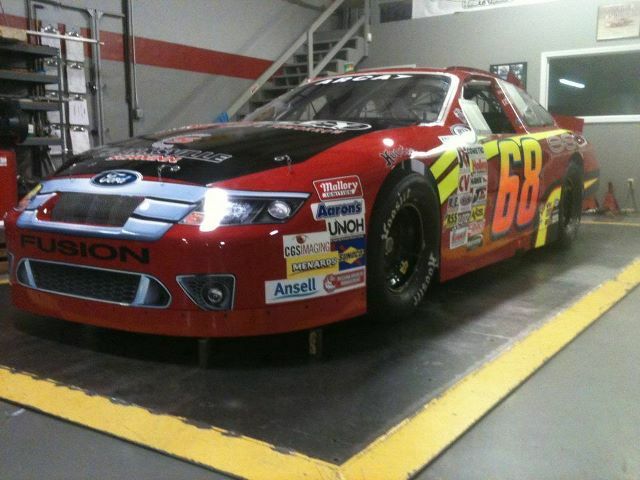 68 entry, allowing the Indiana-based team to continue their quest for an ARCA championship. "I can't begin to thank everyone associated with the Kentuckiana Ford Dealers for stepping up and helping us race at Salem," said Will Kimmel. "We're hyped and excited about our chances and look forward to having a spectacular run." Kimmel Racing is located at 201 East Lewis & Clark Parkway, Clarksville, Indiana 47129. The shop is located between Morrison Chiropractic and Clarksville Schwinn. (TALLADEGA, Ala. - April 18, 2012) - Two scheduled sessions turned into one after morning rain delayed the start of the second day of open testing at Talladega Superspeedway, and Will Kimmel led the pack. Kimmel, driving Kimmel Racing's No. 68 Ford, drove the top lap of the two-day ARCA Racing Series presented by Menards open test on Wednesday, rounding the 2.66-mile oval in 52.633 seconds, a speed of 181.939 mph. He topped Andy Belmont Racing's Mikey Kile, who best effort was 52.971 seconds (180.778 mph). The two drivers were the only competitors to eclipse Bobby Gerhart's Tuesday-leading speed of 180.228 mph. Gerhart did not participate Wednesday. Some gains are to be made, however, if any driver is to match last season's pole speed by Ty Dillon. Dillon earned the Menards Pole Award presented by Ansell in 52.134 seconds last year; seven drivers qualified in under 52.6 seconds. Turner Motorsports' Brandon McReynolds finished Wednesday third. Hal Martin, driving for Coulter Motorsports, was fourth. Roulo Brothers Racing driver Chris Buescher finished the day fifth. The final top 10 for the entire test period were, in order: Kimmel, Kile, Gerhart, McReynolds, Martin, Buescher, Brandon Davis, Greg Hutto, Thomas Praytor, and Korbin Forrister. (TALLADEGA, Ala. - April 18, 2012) - Will Kimmel, who finished third at Daytona International Speedway and figures to contend at Salem Speedway - his home track - on Sunday, April 29, will speak with motorsports radio host Larry Henry tonight on Pit Pass USA. 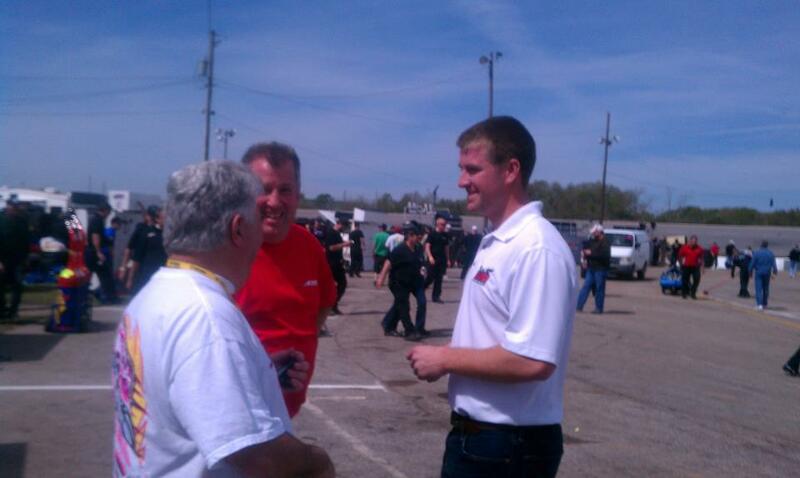 Henry and Kimmel spoke while Kimmel tested today at Talladega Superspeedway. The interview will feature an interesting twist, as the two connected while Kimmel sat in his race car, ready to make a mock qualifying lap on the 2.66-mile oval. Henry called an interview of that type a first for the show. Kimmel, who drives the No. 68 Ford for his family's team, is currently eighth in driver points. The show, which begins at 7 p.m. and airs on the VoiceAmerica Sports Channel, can be located on the web by clicking here. ARCARacing.com will feature live coverage from the Kentuckiana Ford Dealers 200 at Salem Speedway next Saturday and Sunday, April 28 and 29. 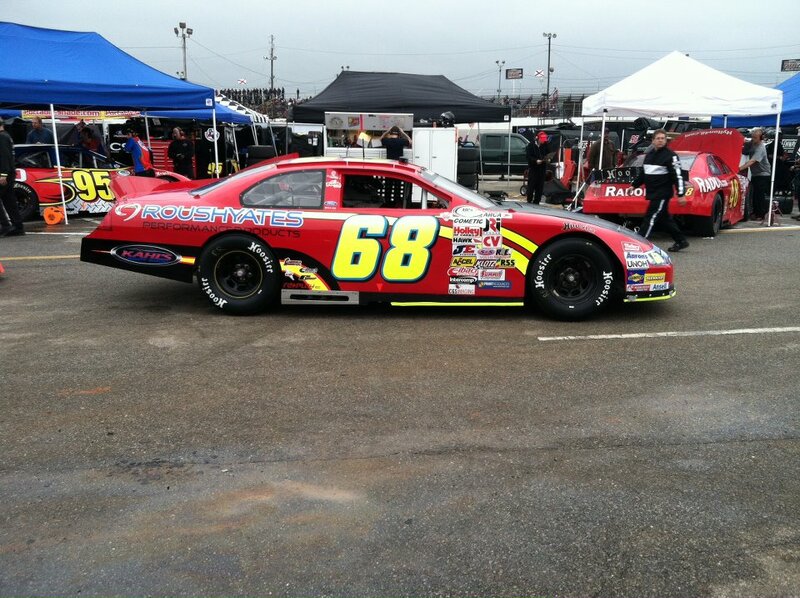 Korbin Forrister turned several test laps at Salem Speedway with Kimmel Racing today. 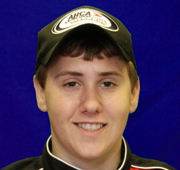 Korbin is set for 3 races with Kimmel Racing in the 2012 season. (SALEM, Ind. - April 6, 2012) - Sixteen-year-old Austin Rettig of Sikeston, Mo. became the first ARCA Racing Series presented by Menards driver to turn laps this season at Salem Speedway, which will host the Kentuckiana Ford Dealers 200 on April 29. Rettig is testing today at the 0.555-mile oval in southern Indiana, and he's just the first of a long line of testers who will practice at the track in the coming weeks. In addition, the race track is hosting an open test session tomorrow for all of the traveling series which will compete at Salem this season. Bill Kimmel, who has seven wins at Salem as the former crew chief for brother Frank Kimmel, is on site with Rettig today. Though Rettig's family owns his car, Kimmel hopes to lend some knowledge to Rettig with the intent of the 16-year-old making a race and truly competing for the first time in an ARCA car. "We're here with Austin Rettig and he's doing very well," said Bill Kimmel. "Our goal is to make the race on speed and right now, we've got him comfortable in the car and going fast enough where he would be comfortably in the field." Twenty-one cars are now entered for the April 29 race, the third of ARCA's 60th Anniversary Season. The full entry list as it stands today is available by clicking here. "Father-Son Duo Surge To Podium Finish In Season-Opener"
DAYTONA BEACH, Florida (February 20, 2012) - - Kimmel Racing opened up the 60th season of competition for the Automobile Racing Club of America (ARCA) with a fresh face and a lot of unknowns. However, by the end of Saturday night's Lucas Oil Slick Mist 200, it was Will Kimmel who shined into the spotlight by producing a thrilling third-place effort at Daytona (Fla.) International Speedway. Kimmel taking the vacated seat of his Uncle, Frank Kimmel was optimistic heading into his second career start at "The World Center of Racing." Primed and ready in his No. 68 Enterprise Software Development / Clarksville Schwinn Ford Fusion when Thursday morning arrived, it was time to get down to business. In the first practice session of the weekend, Kimmel in his blue-oval produced the 15th fastest time overall in an affair that was consisted of both drafting and single-car runs. Under the guidance of his father and multiple ARCA championship crew chief Bill Kimmel, the duo consulted about ideas to make minor tweaks for their No. 68 Enterprise Software Development / Clarksville Schwinn Ford Fusion in time for Menards pole qualifying presented by Ansell on Friday afternoon. In time trials, Kimmel circled the legendary racetrack in 50.375 seconds topping a speed of 178.660 miles per hour which lined the Indiana-based team in the 21st position. Safely in the starting field, the team turned their attention to the short but influential final practice session on Saturday morning to fine-tune their automobile for ARCA's version of the Super Bowl. Acquiring the ninth fastest time overall in the "happy hour" practice session, the Kimmel Racing team remained optimistic despite their No. 68 Enterprise Software Development / Clarksville Schwinn Ford Fusion wasn't exactly drafting to their liking. 43 cars took the green flag with Kimmel easing his way towards the front. Climbing into the top-20 by the end of the first lap, Kimmel's blue-oval continued to climb the leaderboard until the race's first caution occurred on lap six when Milka Duno went for a spin on the frontstretch. Electing to utilize pit strategy, the call from atop of the pit box was to bring the 23-year old to pit road to top off the fuel tank. Restarting in the 29th position on lap 13, Kimmel would have to show extreme patience as he tactically began working his way back towards the front. Another caution for Leilani Munter jumbled up the field again but with Kimmel restarting the event on lap 17 in the 19th position. Methodically, the No. 68 Enterprise Software Development / Clarksville Schwinn Ford Fusion continued its march forward and entered the top-10 on lap 47. Continuing to hover in a single-car formation, Kimmel would squeeze underneath the No. 58 of Chad Hackenbracht on lap 60 to steal another position in the top-10. A multi-car incident ensued on lap 69 with Kimmel knocking on the door of entering the top-five. A restart with five laps remaining would begin to seal up the exciting finish in the 49th ARCA race held at Daytona International Speedway. With some cars electing to make a trip down pit lane for a splash of fuel, Kimmel would take the lap 75 restart in the fourth position behind fellow Ford driver Chris Buescher (No. 17). While Buescher tried to make an attempt to pass second-place second Chris Windom on the outside, Kimmel kept his No. 68 Enterprise Software Development / Clarksville Schwinn Ford Fusion on the yellow-line freight-training the No. 17 and moving into third. Buescher brought out the final caution of the race on lap 78 when we tagged from behind by another competitor setting up for a green-white-checkered finish. With father Bill encouraging his driver to try his best and save fuel, the family-owned team knew they had the opportunity to win ARCA's most prestigious events. On the restart, Kimmel remained glued to the yellow line on the back bumpers of McReynolds and Windom. The group would take the white flag with Kimmel searching for a way to maneuver past the two leaders. As the field thundered out of turn four, both leaders nearly simultaneously ran out of gas forcing Kimmel to take abrasive maneuvers to avoid a collision but it allowed the Chevrolets of Bobby Gerhart and Drew Charlson to make a bold move to the outside to take the checkered flag first and second. Brett Hudson and Nelson Canache both made moves underneath Kimmel for third coming to the stripe but ARCA officials quickly would yank those positions away from them for passing below the yellow line to move Kimmel from fifth into the third position in the final rundown. "Wow, that was crazy," said Kimmel, who collected just his third top-five finish of his ARCA career. "We had a shot at winning the race but when those guys ran out of gas, I had to check-up and I was done. I tried to keep those guys from passing me but it was already then too late. At that point, I was happy to finish fifth, but when they penalized them and moved us back into third, it was even a better feeling." He added, "I can't thank everyone on this Kimmel Racing team for all of their support and dedication. We have an all-volunteer crew and we picked up some sponsorship from Enterprise Software Development and man, I'm happy for them. Hopefully this run will help us moving forward and we can acquire some more sponsorship that will keep us in the ARCA championship battle." In addition to Enterprise Software Development (ESD), Kimmel Racing extends a huge thank you to their other sponsors for the Lucas Oil Slick Mist 200 including Clarksville Schwinn, Crosley Radio and Ingersoll Rand. 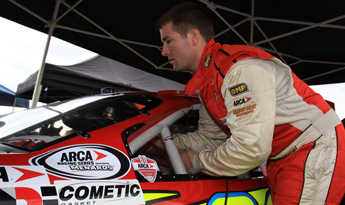 Kimmel unofficially sits third in the ARCA championship standings just 10 points from leader Bobby Gerhart. Kimmel though could inherit the point's lead by traveling to Mobile (Ala.) International Speedway for round two on March 10 as Gerhart and Charlson are not expected to enter that event. Next up for the ARCA Racing Series presented by Menards will be the first of two stops in the state of Alabama with the sanctions first ever visit to Mobile (Ala.) International Speedway for the running of the Mobile ARCA 200 on Saturday, March 10. PHOTO CAPTION: Will Kimmel, driver of the No. 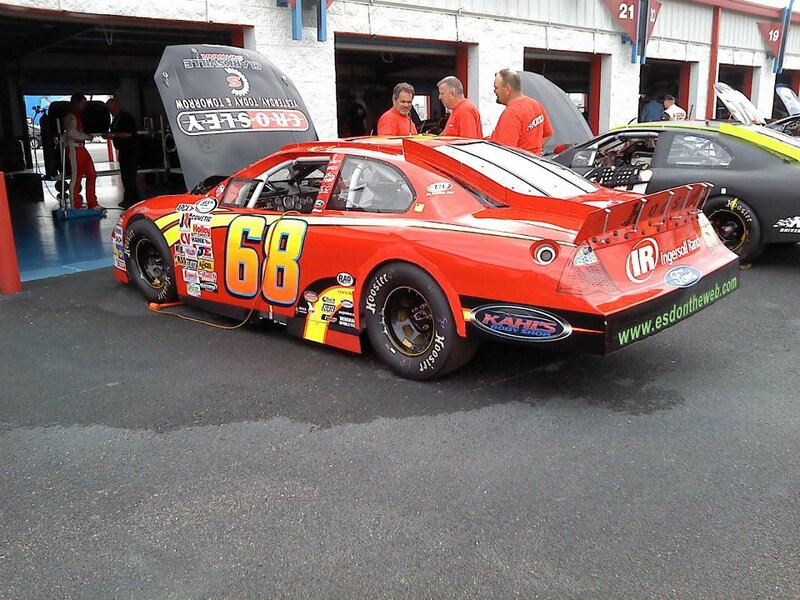 68 Enterprise Software Development / Clarksville Schwinn Ford Fusion in the ARCA Racing Series presented by Menards for Kimmel Racing. Will drove #68 "Sandra" across the line in 3rd place for Kimmel Racing in the Lucas Oil Slick Mist 200 at Daytona Speedway. The team worked hard all weekend and what a great start to the 2012 season. 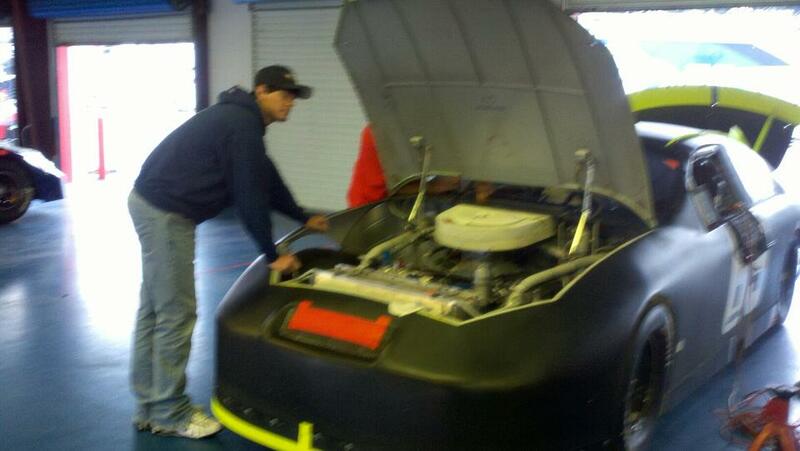 ARCA practice is from 1pm-5pm on today (Thursday) at Daytona Speedway. Live timing and scoring at www.arcaracing.com. The team had a busy day on Wednesday getting through tech. 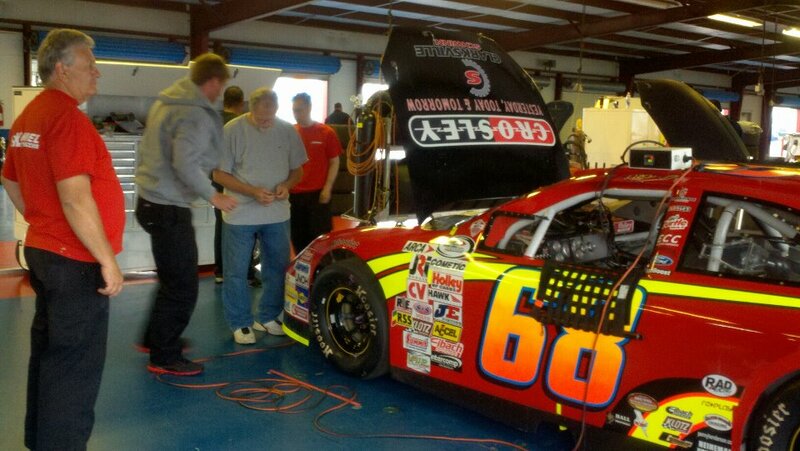 They have worked throughout the morning preparing for practice of the #68 Ford Fusion driven by Will Kimmel. Become a fan of Kimmel Racing on Facebook for updates and pictures from the track. DAYTONA BEACH, Florida (February 13, 2012) - - The original settings of Kimmel Racing have changed but the team lives on and is ready to shine as the ARCA Racing Series opens its 60thseason of competition when the Lucas Oil Slick Mist 200 takes the green flag at Daytona (Fla.) International Speedway Saturday afternoon. Will Kimmel, the son of Kimmel Racing owner Bill Kimmel will heed the leading role for the Indiana-based race team as the driver of the No. 68 Enterprise Software Development / Clarksville Schwinn Ford Fusion. For the second-time in his ARCA career, the 23-year old will grasp the high banks of the 2.5-mile superspeedway and look to ignite his 26th career start in stunning fashion. 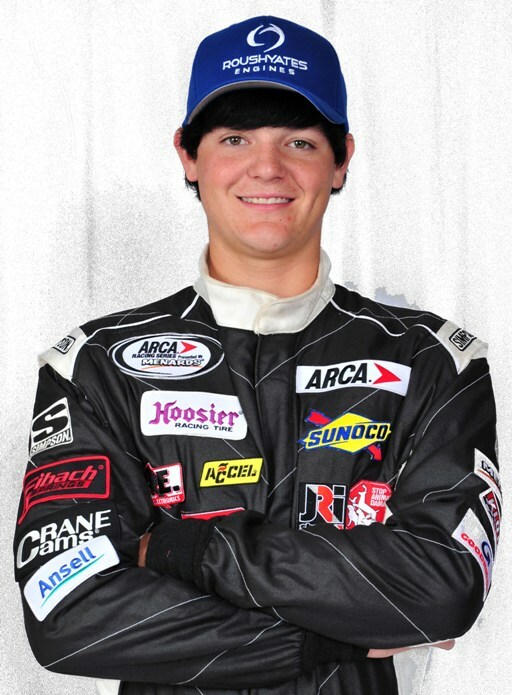 “We’re blessed to be going to Daytona,” said Kimmel, whose holds a career-best finish of second in ARCA at Salem (Ind.) Speedway last September. “Dad (Bill) and our all-volunteer team have worked ferociously to get our No. 68 Enterprise Software Development / Clarksville Schwinn Ford Fusion ready to go for this weekend and I believe we’re more than ready. We learned a lot from the test in December and I think with the changes since then we can improve on our Daytona debut from 2009. Despite a 18th place finish in his restrictor plate debut at “The World Center of Racing” three years ago, the team came prepared with a stout blue oval which boasted an impressive eighth place qualifying run only to be sidelined by a mid-race incident which resulted in the finish. 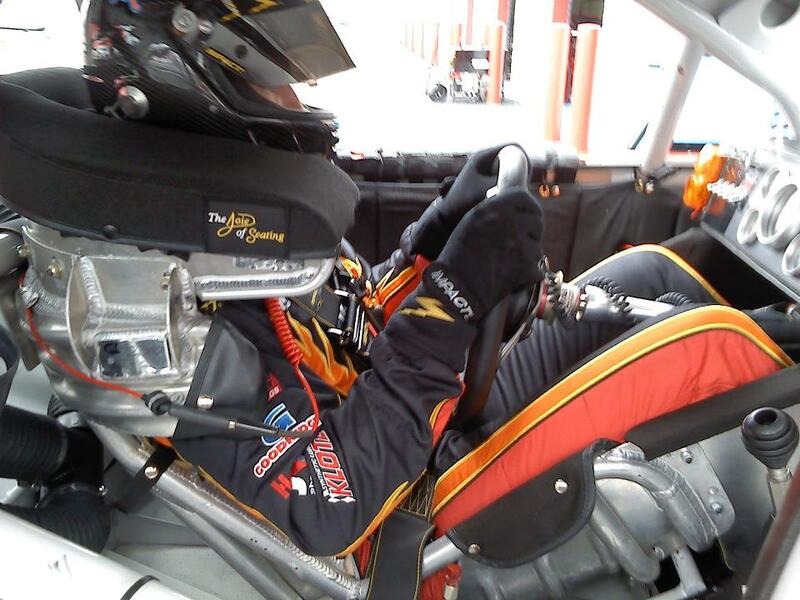 Knowing that restrictor plate racing brings a lot of unknowns, Kimmel also knows that the chance is now for his team to shine and keep their momentum rolling for 2012. With his father and ARCA champion crew chief Bill Kimmel calling the shots; Kimmel doesn’t feel the pressure of performing but rather using the bond as a chance to explode into the limelight with potentially his first career win. In addition to Enterprise Software Development (ESD) and Clarksville Schwinn, Kimmel Racing is thankful for the support of Crosley Radio and Ingersoll Rand who have joined the veteran ARCA organization as additional sponsors for ARCA’s version of the Super Bowl. The Lucas Oil Slick Mist 200 at Daytona (80 laps / 200 miles) is the first of 20 events on the 2012 ARCA Racing Series presented by Menards schedule.The 49th ARCA race held at Daytona is a three-day show. Practice begins Thursday, February 16 with a four hour practice session planned from 1:00 p.m. - 5:00 p.m. Menards pole qualifying presented by Ansell is set for Friday, February 17 slated to begin at 2:00 p.m. A forty-five minute final practice session is etched in on Saturday, February 18th from 10:00 a.m. - 10:45 a.m. The event will take the green flag later that day shortly after 4:30 p.m. The race will be televised live on SPEED with additional race coverage including live timing and scoring and radio broadcast through the ARCA Racing Network (ARN) online at arcaracing.com. All times are local. ARCA, celebrating its 60th season in 2012 is the preamble for the highly anticipated Budweiser Shootout for the NASCAR Sprint Cup Series (NSCS) set to ignite under the lights later that night.